It’s very en vogue to mourn the passing of Stan Lee. There are some big lessons about his life’s work. Make no mistake about it. Stan died a few days back at 95 years old. He is one of a small few that is directly responsible for the vast amounts of superhero content that is pervasive in our culture today. A true visionary who told stories and built universes through the medium of comic books, Stan Lee is core to the Marvel universe. Stan Lee is core to why young kids drape towels over their backs and pretend to have super powers. He was a dreamer and a marvellous artist. You don’t see the decades (and decades) of struggle. And, if you’re really curious, just Google “Stan Lee” to get a taste of how “interesting” and diverse his life truly was. Let’s face it, before Netflix bing-watching and massive Hollywood blockbuster superhero movies, there was little to nothing cool about comic books. The entire reason that comic books are hyper-collectible today, is because they were considered trash and disposable back when they were first published. Nobody (except for the fans) appreciated them for what they were. And, back then even the fans didn’t keep, care and collect these artifacts. We read them, jumped on our bikes (that we would pretended were spaceships) and jet off on a new adventure. How many of our parents tossed the comics we did keep as kids while we were away at summer camp or at a sleepover? How many comics books did we read and re-read and then toss out when we were done? Stan’s passing took the wind out of me. What you also don’t see is how the work of Stan Lee, the people at Marvel, DC Comics, etc… have shaped the lives of so many. Comic books were my everything from time I could read and beyond. Some of my fondest memories involve comics books. When I would sleep at my grandmother’s, we would take a short walk to the corner store where I could get a small treat. Mine would always be a comic book. When my father (who was a pharmacist and owned a small pharmacy) would allow me to hang out in his store, I’d often find myself in the dingy basement of the store. Among the shelving no longer being used and endless aisles of toilet paper and other household necessities would sit a small pile of comic books (probably left there for some of the employees for their break). Around the corner from the pharmacy was one of the first comic stores in Montreal (where I live). I would spend countless hours after school and during the weekend at Capitaine Quebec. My father knew the owners. The owners knew that I loved comics. The stacks and stacks of comics were my everything. They would let me loiter. I have earlier memories of me (much younger than 10 years old) attempting to draw comics by placing printer paper over the comics and trying to get a trace. I went from reading to collecting comics with my cousin (and this is how we bonded and became close like brothers). If you would have told me back then that in the near-future a live-action movie about the X-Men would be a Hollywood blockbuster (or, how about over ten of them! ), or that there would be a Daredevil TV show, I would have thought that you were mad. Long before the ComicCon type of events that we see today, the comic book conventions that I attended were small, in dank hotels with a handful of vendors… but everyone was a fan. It was subculture. It was uncool. It was a good reason for the other kids to tease me. And, while it that bullying had an effect on me, hindsight dictates that it was a positive effect. For all of the insults back then, I can now look back and see where my passion for stories, creativity, divergent art and quirky things come from. Comic books. Stan Lee. I still hit local comic book stores when I travel and, when possible, attend conventions. It’s easy to dismiss the work that these people do as pedestrian, simple and not art. Make no mistake about it. It is art. I always think of that line from Stan. The work that they do… the work that we do… it is art. Is the work that you do art? It’s hard (for many… including me) to think that these written words, a podcast, a presentation, a pitch, etc… is art. It’s not hard to reflect on the work that went into these pieces much in the same way that an artist does. We imagine, we create, we let things flow, we step back, we edit, we analyze, we rehearse, we collaborate, we prep, we polish and we deliver. It is always a creative process. It should always be considered art. It should always be considered your art. 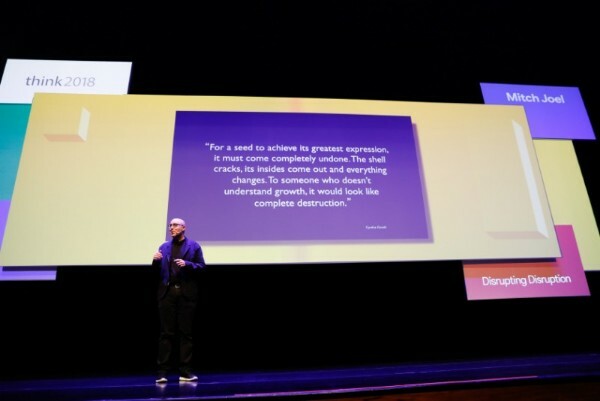 If you’re not convinced, please don’t listen to me, but listen to Seth Godin. It’s a theme he has been pushing for a long while (start with his amazing book, Linchpin). We appreciate art. Art is our self-expression. Art is something that often takes a few beats to internalize, react to and feel. We should appreciate the work that we do in this manner as well. Fine, not everything that we create is worthy of being displayed in a museum, but think back to those comic books… most of it was consumed and them tossed in the bin. I’m sure your work is somewhere in the middle (I hope it is). Celebrate it. Just because most people don’t think of their work as work, does mean that some people do… or might… or should. We should. And, that’s where true originality and opportunity lives. Thanks for the reminder, Stan… ‘Nuff said!